Every year that Christmas dinner falls to me I always make a pork stuffing using pork mince or sausage meat along with seasonal dried fruit, nuts and herbs. Combinations I’ve made in the past are cherry, chestnut and walnut pork stuffing; apricot, cranberry and pecan pork stuffing; apricot and hazelnut pork stuffing and cranberry and chestnut pork stuffing. 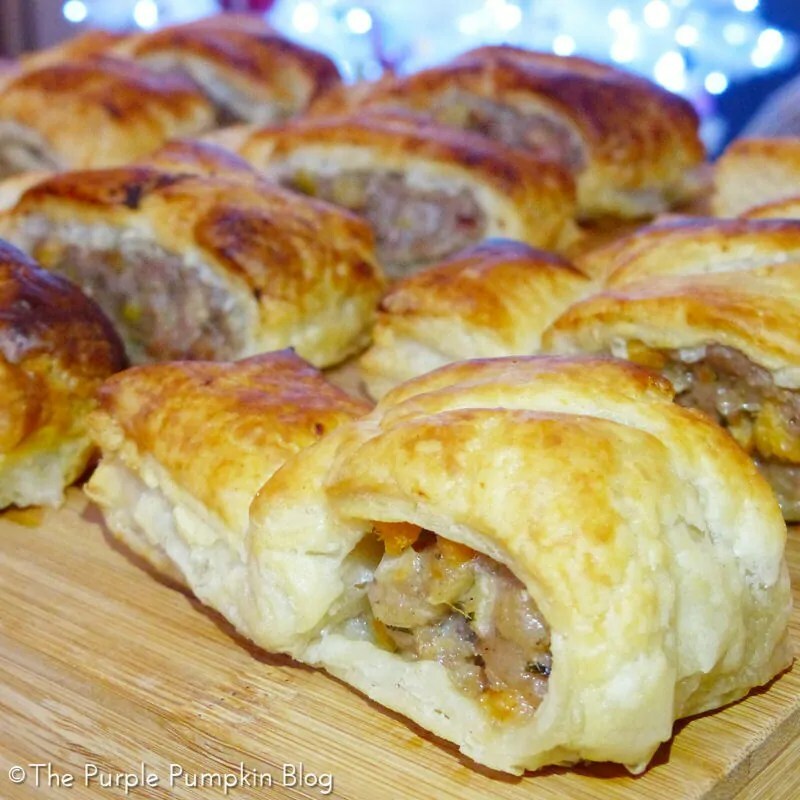 I didn’t get around to making stuffing for Christmas, but didn’t want my ingredients to go to waste, so instead, I made some festive sausage rolls using the stuffing mix and some shop bought puff pastry. They were delicious and great as a Christmas night snack or as a party food. I guess as a rule of thumb, for a packet of sausage meat, add a handful of dried fruit and nuts and about a tablespoon or so of herbs. Season with salt and pepper of course. If you want to check for flavour and seasoning, you can always cook a teaspoon of mixture off in a frying pan to taste it in advance and then adjust accordingly. Dust a little flour on your surface and place the ready-roll pastry down. Place the sausage mixture about half way down in a log shape end to end. Gently flatten out a little bit and try to make sure it is evenly spread. Fold the pastry over to cover the sausage meat, and brush some water on the pastry to make the edges stick together. 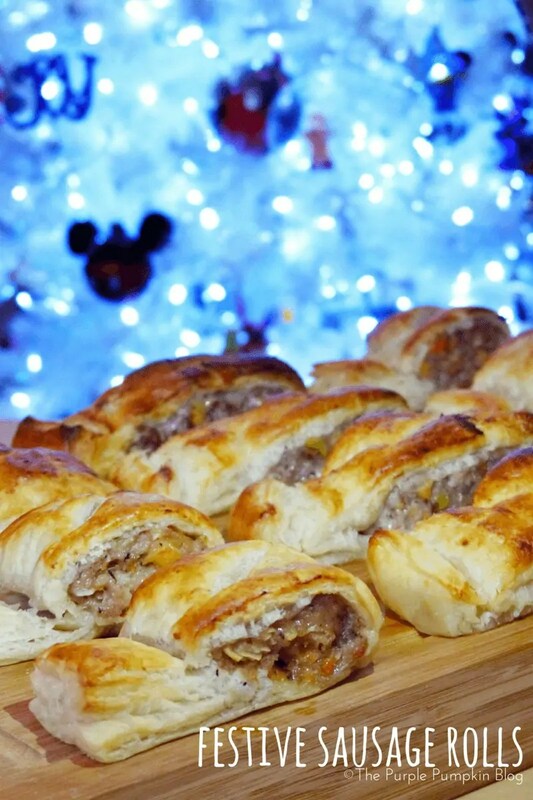 Place each sausage roll on a greased baking sheet (or lined with greaseproof paper) and make a slit in the top of each one as shown in the photo below. Brush each one with a little milk. Bake at 220C/Gas 7 for 25-30 minutes until puffed and golden.